Acorn Hill Academy: Great Board Book! Isaac LOVES it, and it's very cute. Anything that makes noise is good in his world. 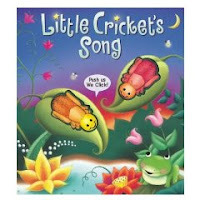 The little frogs stand out of the book similarly to the ladybugs in Ten Little Ladybugs, which the girls both loved at this age. 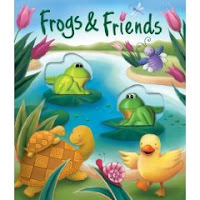 Additionally, the frogs have little levers on their back which you push down to make them croak! I'm fairly certain that was the big selling point for the Snort.